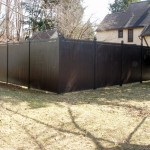 Almost all residential privacy fences are fabricated from either wood or vinyl. 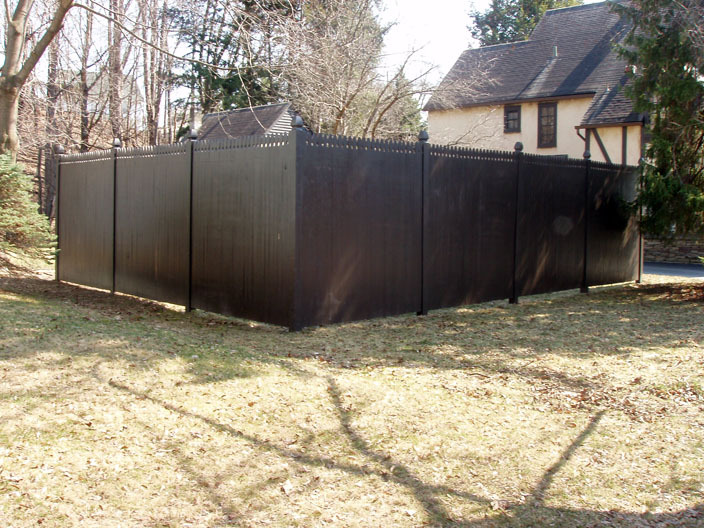 The most common height is 6′, but 7′ and 8′ high fences are also available. 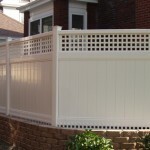 Generally, almost any style wood fence is also available in vinyl. 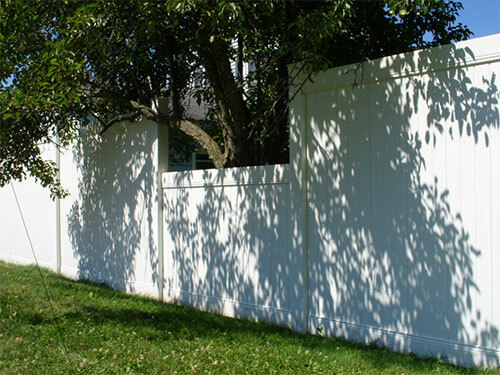 On the bottom line, you’ll pay more for a vinyl fence, but it will be maintenance free and will never need to be replaced. As we say in the trade, Vinyl is Final. On the other hand, many of our customers have no interest in vinyl. There is just something unique abut a wood fence. 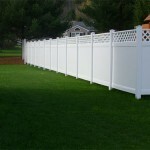 We’ll be happy to prepare estimates on comparable style fences in both wood and vinyl. 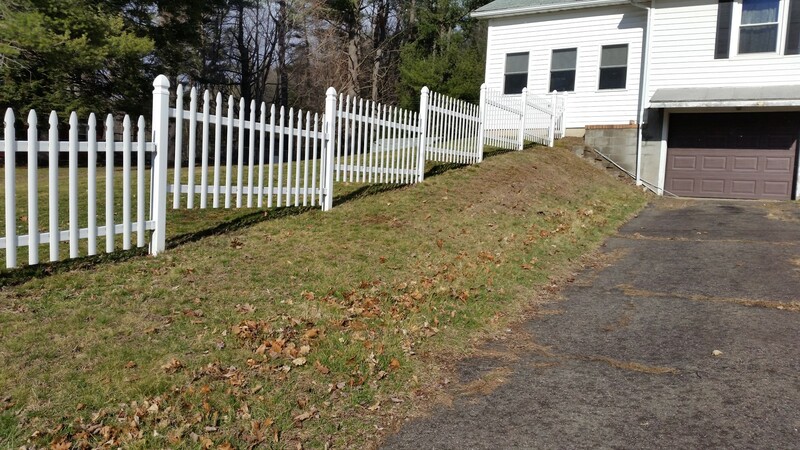 On slopes, many of the privacy fences you see are “stepped” leaving a gap under the low end of each section. 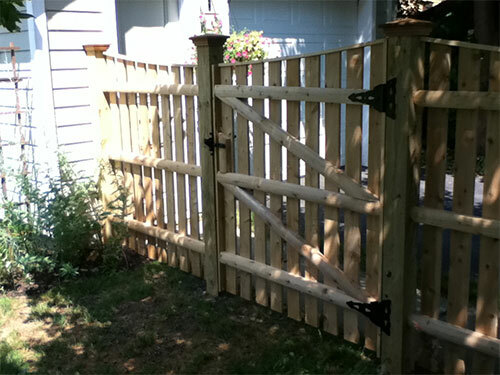 At Oneonta Fence, we recommend a “racked” fence. Racked means that while the vertical posts and pickets are plumb, the horizontal rails are parallel to the ground. 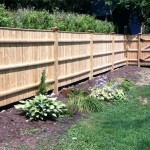 Aesthetically, racked fences flow with, rather than fight with, the slopes on your property. RACKED No steps necessary. 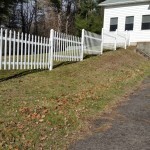 This fence smoothly racks up a slope with a 4 difference from bottom to top. STEPPED Dead level is great for buildings, but not so much for fences. 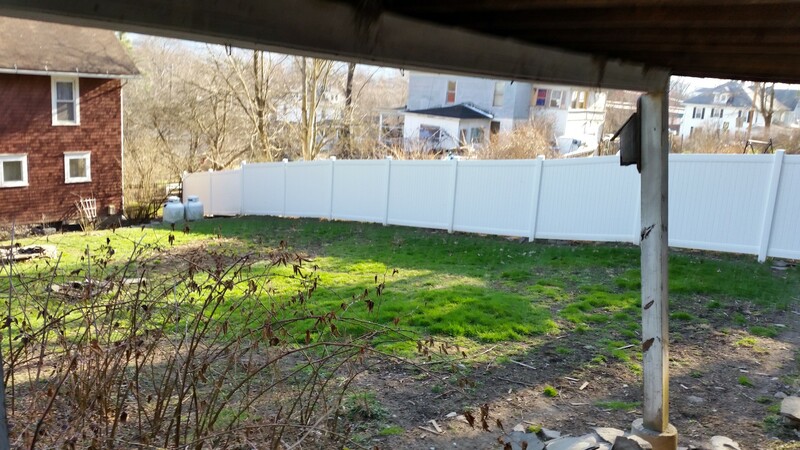 The sizable gaps on the downhillside of each section not only look bad, but would never keep your dog in.DISCLAIMER: We did not install his fence. When it comes to privacy, there’s nothing like the look of wood. 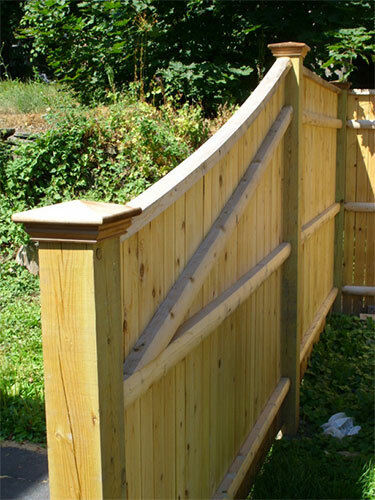 At Oneonta Fence, we prefer cedar. 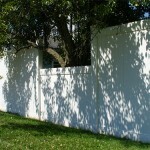 We pride ourselves on how attractive our fences look from both sides. That is because we install our fence sections between the posts rather than on the face of the posts. 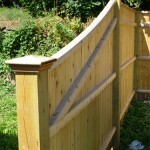 Our horizontal rails feature 2″ ends to fit securely into 2″ bored out holes in each fence post. 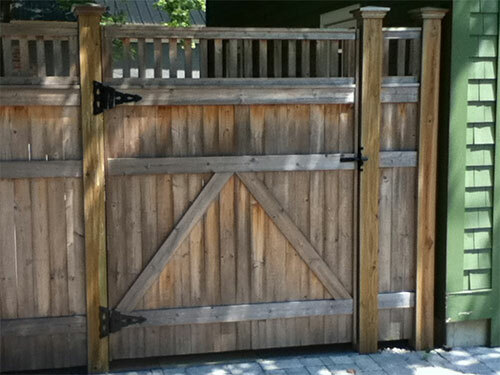 This Doweled installation is much stronger than the conventional Nail On method, because of the weight of the fence sections rests on 2″ dowels rather than on a few nails or screws. 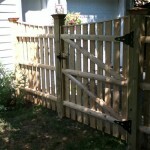 We also use 5×5 posts rather than the standard 4×4’s used by most fence companies. That one inch may not sound like much, but if you do the math, you’ll find that it works out to about 50% more wood per post! 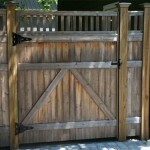 We custom designed this gate and stationary section to create a continuous concave sweep. We call this an off-grade fence section. It steps down from 6′ high to 4′ high. Lattice tops can be criss-cross, checker board, or just horizontal like this one at The Inn in Cooperstown. 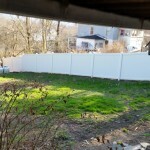 Installing a 6’ high vinyl privacy fence along a property line is pretty routine. The charm here is the “cut-out” which spared the overhanging limb of the fruit tree so both sides still have access to fresh, juicy pears.